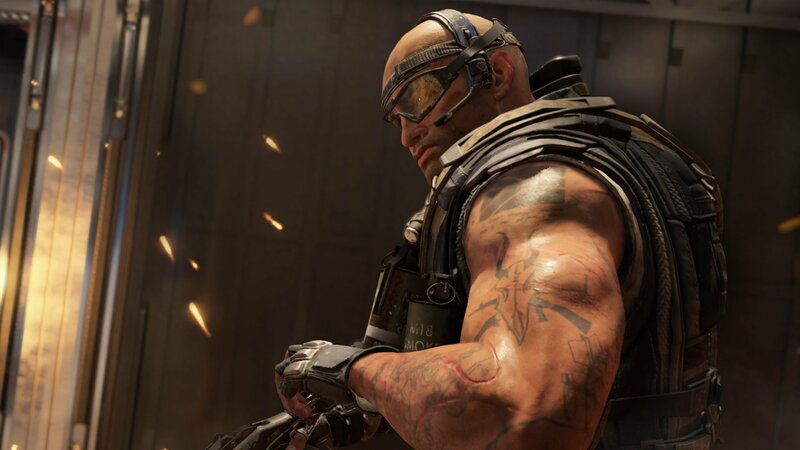 Call of Duty: Black Ops 4 is really, really good. At least, that’s the view of critics who’ve gone live with their reviews on launch day. We’ve decided to hold back our opinion until we’ve played more on retail servers, but we guess these lot are feeling confident in what they’ve seen so far. The scores are, across the board, extremely high. 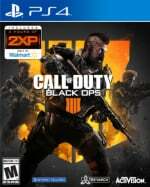 What do you think of Call of Duty: Black Ops 4 thus far? Are you satisfied with what you’ve played, or are you feeling a little let down? Are you waiting for more reviews before making up your mind? Be the last man standing in the comments section below. I find this to be such a strange package. There's always been the various components to a Call of Duty game, but there's usually consistency between them. This feels like three separate games more than ever, and I do find that a bit odd. All that said, I'd buy it for Blackout if it was cheaper. Aren't CoD reviews usually rated highly in a lot of places anyway? Activision would make a hell of a lot of money if they sold Blackout separately. I get the feeling that mode is going to be the biggest focus of the franchise going forward. Sad times for Battlefield 5 though, a mixture of a poor reaction online, lower preorder numbers, EA for been EA, coming out after CoD and RDR2 and no Battle Royale mode at launch may well make it game that's going to struggle to keep a significant enough sales and player base. @adf86 man I keep forgetting BF5 is even coming out. The silence on EAs part mixed with the noise of other games doesn't seem promising for them at all. @manu0 don't think they would go that route. Cod sales don't really fall off a cliff like other games, 2 COD games were in the top 20 in August sales wise. Wouldnt make sense to go f2p when they know it's going to sell and make money throughout the year anyways. I could see them doing a trial version maybe up to like level 10 or something but definitely not full on fortnite unlimited f2p. @Gatatog To be fair, they are usually exceedingly well crafted games. I mean they'd almost have to be with the amount of money and staff that Activision throws at them! @redd214 @adf86 Yeah BF5 is in trouble. We'll see if it gets much attention once Red Dead is out, but... Tough times. I wonder if there will be a single player campaign DLC pack? I don't see them going f2p, even with 1 mode, b/c CoD is a yearly series, and by the time they were ready for free they'd rather have you spend your money next year on the next game. It's not like GTAV where 1 game lasts 7 years. And speaking of lasting, I wonder if Destiny 2 will promote Forsaken even more now? Or are they 2 completely different bases? I'm more curious what they'll do next year. Battle Royale seems like the kind of thing that people stick with over time, and is constantly updated. But are they going to make and sell a brand new mode for next year's CoD? EDIT: Ah, basically what rjejr said! @TeslaChippie That is a good point. I haven't really played one for a fair few years but no matter what I think of the repetitive nature of it being on a yearly release schedule, they are still great shooters mechanically. Yeah I think blackout saved them on this one. Did they ever have an open beta? I wanted to try it, but not behind a paywall. Maybe if a friend purchase I can try it. those paychecks must be paying high for review scores like that. I don't suppose any of them are bought reviews, like it's never happened before with CoD, right? How's this was worthy as a article as they mostly always rate highly? What next an articles on how water is wet and snow is cold? If it rated badly that would be newsworthy. @get2sammyb I want Battlefield V to succeed just for the reason that they're ballsy enough to 'dare' putting women in a genre that appeals to snotty-nosed teens. @suikoden We often do review round ups for big games like Call of Duty. Especially when our review won't be ready for a few more days. Sorry if my post came off as me seeming a bit of a jerk, because rereading i sound like one. No SP, traditional amount of MO maps with 4 or 5 being old, a couple of zombie maps and BR. For 60 dollars there is no way in hell this is higher than a 7 for me. @OmegaStriver How can you rate a game that you have never played? Your comment is ridiculous and you genuniely sound salty that the game is getting great reviews. Did Activision steal your girl or something? Single Player campaign coming soon as a 39.99 DLC extra no doubt. @Jimmy_G_Buckets Hell, if you have played any COD in recent history, namely BO3 then you’ve played BO4. @Jimmy_G_Buckets Just chill he is just a troll.trying to get a rise out of people. If he was genuine he would know that BO3 and BO4 play nothing a like. He one of those guys who thinks it's cool to hate on stuff. Actually feel sorry for him. @OmegaStriver Which is something you have not done because if you did you would know that the last 3 out of 4 CoD games played differently including BO3 and BO4. But let me guess you need to feel cool among your friends trolling people on a gaming site. @Tasuki CODs play different, ok. Delusional. They really should have done an open beta so that people could try Blackout and decide if it's worth buying. Never cared about Zombies and without a campaign it doesn't seem worth full price. I haven't seen a COD game rated this high since the Modern Warfares. 1, 2 and 3 for MW all scored high 80s, low 90s. Everything since then (including Black Ops) have been low 80s. Got this for online shenanigans with my nephew, we had a blast with the beta! Lol, it’s a GOTY contender if the game gets more scores like these. Game Informer: "Blackout is the best battle-royale experience available today..."
Ok. Step 1: Must first like battle-royale phenomena. @suikoden seems like alot of outlets are doing that as a way to inform the public your "missing out" so to speak. Idc if it scored a perfect 10 out of 10. No single player, forced online no buy. I feel like it was a personal slap in the face to the consumers(myself included) whos been with COD since the beginning circa 2003 on ps2. I rather enjoyed the single player campaigns. Well COD just isn't for me anymore. Time to move on. @OmegaStriver Never played a CoD ok troll. @Tasuki You sir, are delusional. I’ve played every COD except the one right before the new WW2. COD is always fundamentally the same with MINOR changes. COD is COD. @OmegaStriver Well then you would know they play quite different. Advanced Warfare, BO3 and Infinite Warfare all use advance movement and jetpacks WWII and BO4 have gone back to the boot on the ground gameplay. But whatever you are going to argue because it's cool to hate on popular things. @Tasuki Such a difference. They felt like completely different games, couldn’t even tell they were all COD. @OmegaStriver ow you are just being an *** Yes you can tell they belong to the same series but each play differently. They way you go on you act like they are exactally the same. It's like saying Assassin's Creed Odyssey and Assassin's Creed Bortherhood are the same games. Yes they have similar themes but they play differently. If you can't understand that, well then I guess we're are done here. I did enjoy the campaigns in the previoius CoD games, for the epic spectacle they usually offered, especially Infinite Warfare and Ghost. While I am of the opinion that developers should either focus on multiplayer or single-player, it would have been cool if they had offered a stand-alone campaign for this game for €20-25 or so. Multiplayer is just not for me, so these ratings don't mean anything to me. I really dont like the cod engine. It feels so stiff and the guns have very little impact. After Battlefield 3 came out I could never go back to cod. Though I will admit battlefield is not looking great this year. I dont like the ww2 setting, the weapon upgrading is extremely simplified (in 3 and 4 it was fantastic) and performance of the beta on base ps4 was rubbish. Maybe I'll pass all of them in favour of RDR2 and I still have to play god of war as well. @Tasuki Odyssey and Brotherhood are quite a bit different. COD is more like comparing Origins and Odyssey. @suikoden well, it wouldn’t surprise me if those numbers were real; we gotte get used to the fact that most developers don’t bother optimizing the code for their games anymore, and the end result is HDD’s packed with useless data (like multiple copies of the same asset, or even unused ones). Well, if COD really is 100+ GBs that’s absurd: ok, it’s a very big game with lots of contents and assets, but if a game like BOTW only takes up 16 GBs (which is a technical marvel), I bet that with a bit of optimization COD could easily reduce its file size by a lot. @OmegaStriver i agree. This is just another Activision push for dollar. I would not be surprised if they again get pay to win guns. No story mode? Lazyness. Main selling point for most cod and actually something that needs effort not just another rehash of the same multiplayer. Just another Activision cash grab, EA get all the jip and activision always get off. Stop being such fan boys.